Dr. Susan L. Pekarske, a distinguished clinical pathologist and hematopathologist was elected trustee of the McKnight Brain Research Foundation (MBRF) at its board meeting on February 21, 2018. Her three-year term of service is effective July 1, 2018. A Phi Beta Kappa graduate of the University of North Carolina at Chapel Hill with a B.S. degree in Biology, Dr. Pekarske attended the University of Wisconsin Medical School in Madison, Wisconsin, where she was elected to Alpha Omega Alpha Medical Honor Society and awarded her Doctor of Medicine degree in 1990. During medical school, Dr. Pekarske was the recipient of many honors for outstanding scholarship and achievement. Following completion of medical school, Dr. Pekarske completed her Internship in Internal Medicine, Department of Medicine, University of California at San Diego in San Diego, California and a four-year residency training program in Anatomic and Clinical Pathology, Department of Pathology, also at the University of California at San Diego. 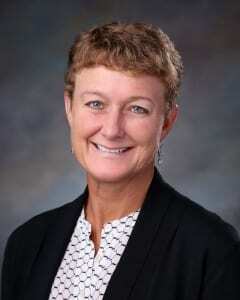 Dr. Pekarske has also enhanced her interest and knowledge in the field of pathology by completing an additional Fellowship in Hematopathology in the Department of Pathology, Scripps Clinic and Research Foundation in La Jolla, California in 1996. Dr. Pekarske is a Diplomate of The American Board of Pathology in combined Anatomic and Clinical Pathology and a Diplomate of The American Board of Hematology. After the completion of her training in 1996, Dr. Pekarske served on the faculty and as an attending physician in the Department of Pathology at the University of California at San Diego, in San Diego, California. In 1998, she was recruited to the position of Staff Pathologist at the Northwest Medical Center in Tucson, Arizona. Dr. Pekarske and her husband, who is a practicing anesthesiologist, still reside in Tucson. The purpose of the MBRF is to promote research and investigation of the brain in the fundamental mechanisms that underlie the neurobiology of memory with clinical relevance to the problems of cognitive decline and memory loss associated with the aging process. Dr. Pekarske’s background and experience as an expert clinical pathologist, and knowledge of diseases of the brain contributing to cognitive decline and memory loss make her uniquely qualified to serve as trustee of the MBRF. Dr. Pekarske will serve with the current trustees, Dr. J. Lee Dockery, Gainesville, FL; Dr. Michael L. Dockery, Charlotte, NC; Dr. Richard S. Isaacson, New York, New York; Dr. Nina Ellenbogen Raim, Miami Beach, FL;, Dr. Gene Ryerson, Gainesville, FL; Dr. Madhav Thambisetty, Silver Spring, MD; Dr. Robert Wah, McLean, VA; and Melanie Cianciotto Corporate Trustee, Orlando, FL. in their role in promoting research of the brain leading to the understanding and alleviation of cognitive decline and memory loss associated with the aging process.